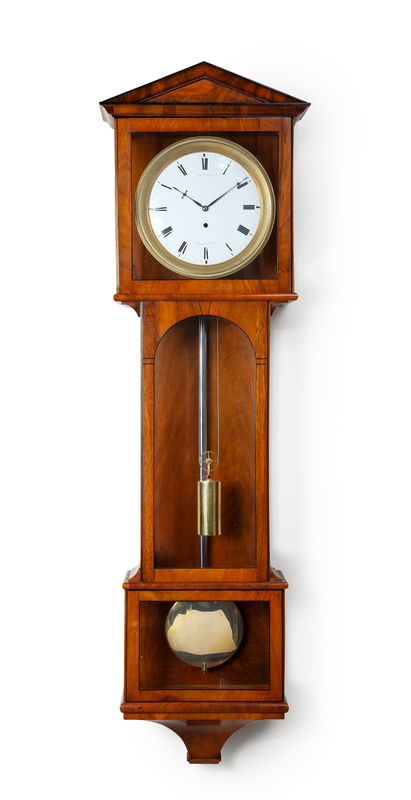 The weight-driven, eight-day movement of this beautiful clock is constructed between rectangular plates. It consists of going train only. 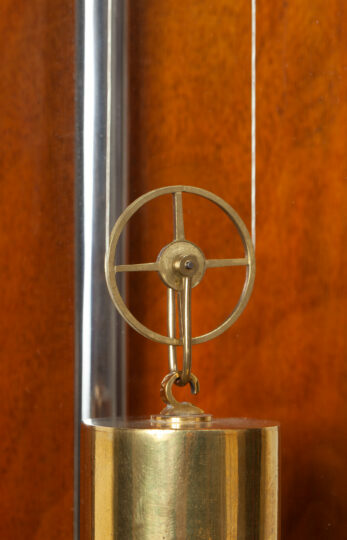 The going train has dead-beat escapement and long pendulum, which has knife-edge suspension and is mounted on the backboard. 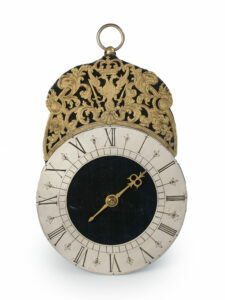 The circular enamel dial has a Roman chapter ring with five-minute and minute divisions. The time is indicated by a fine blued-steel pair of shaped hands. 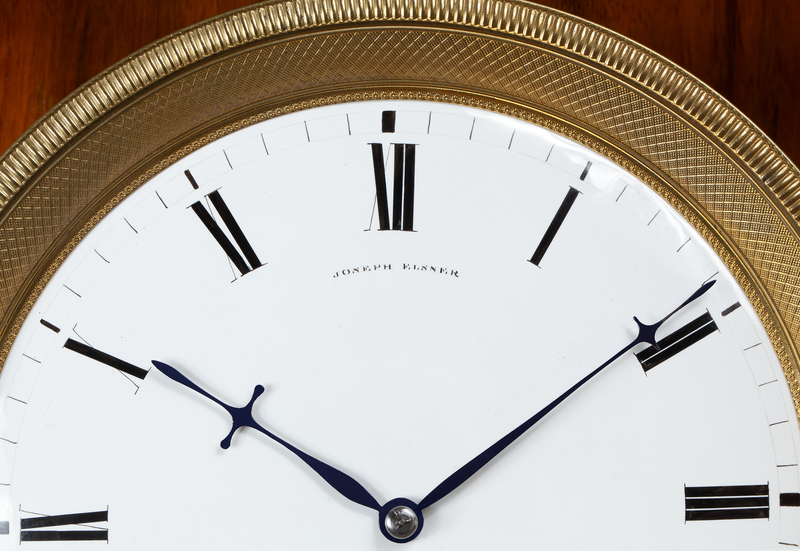 The maker has signed the dial above the middle: JOSEPH ELSNER. 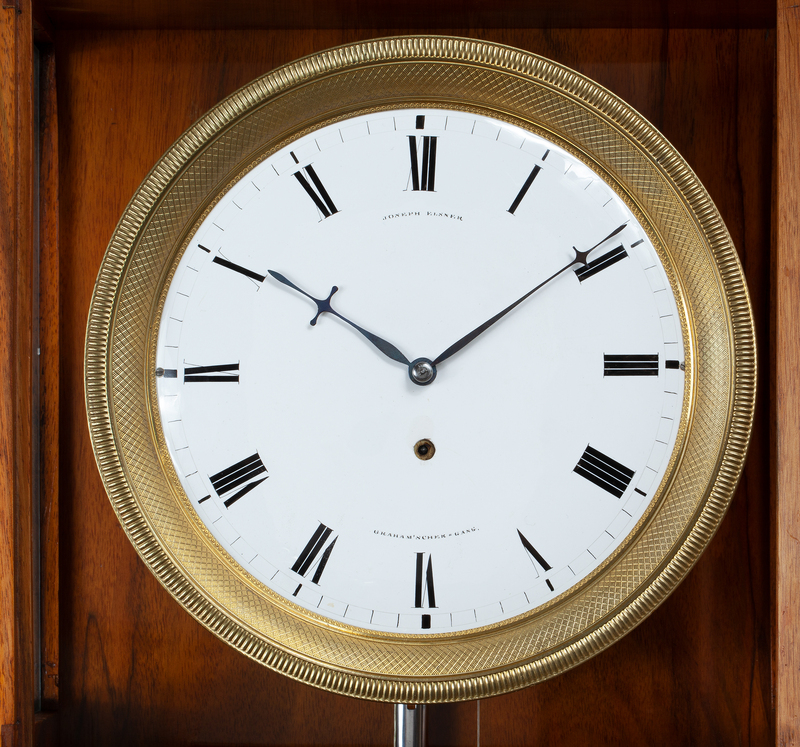 In addition, Below the middle the clock is marked with the words: GRAHAM‘ SCHER=GANG, a reference to its dead-beat escapement. The walnut-veneered pine case is embellished with ebony line inlays. 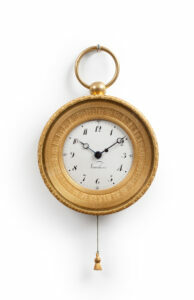 Given the shape of this regulator, this type is often referred to as ‘Laterndluhr’. The case, which is glazed on all sides, consists of three parts, the middle part being more slender than the top and bottom parts. 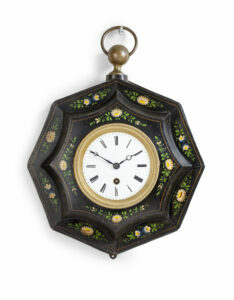 The moulded architectural top is also typical for this type of clock.